Tomorrow, Monday 1st April, will be the last Country Dancing Club for the summer and they are having a party! 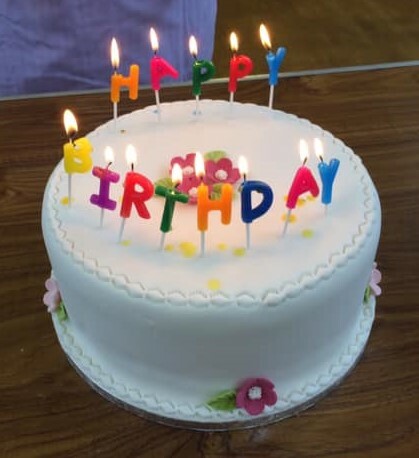 Sarah Park has organised a Fundraiser Coffee Morning, towards her planned volunteering trip to Fiji, in the church hall on Saturday 13th April from 11 o’clock There will be many stalls and activities such as face painting, guess the teddy bears birthday, a bake sale and much more! Sarah would be very grateful for any contributions and support for the event. Tickets are £3 for an adult and £1 for a child . 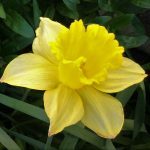 Friends of South Beach House are holding a Daffodil Tea in the Home at 2pm on Friday 26th April. Tickets are £2 and can be obtained from Evelyn Slater. Please support this worthwhile cause. With the school holidays now started there weren’t many children in church today but those that came had done their homework again! For “J” they had identified JESUS; Judah; Joseph; Judas (boo? ); Jacob; Jonathan; Jerusalem; Joshua; Josiah; Jericho; Jeramiah; Jonah; James & John; Jessica; judgement; judge; Jordan (the river) and Joash. “K” was a little harder but they had managed kindness; knowledge; Kingdom, king and Kedron. If you struggle to think where in the Bible you will find these words, do visit the Bible Gateway website. Next week “L” & “M” will be in the spotlight. Adult members of the congregation are encouraged not to leave it all to the younger folk! Please be aware that the email address for the church has now changed to webmaster@saltcoats-stcuthberts.org.uk (effective 28 March 2019). If you use the previous gmail address it will be routed through to the new one for the foreseeable future but the reply should come from the new address. Thank you for your patience.